TAOISEACH ENDA KENNY has admitted that his own target for Ireland getting retroactive recapitalisation of its banks will not be met but insists that he still expects something to happen in the latter half of next year. Kenny’s comments came prior to those of the European Commission Jose Manuel Barroso who last week appeared to rule out any use of the new eurozone bailout fund retrospectively. In a briefing with journalists last week, Kenny said that much will hinge on the setting up of a banking union in the eurozone with a European Council summit agreeing the broad framework of the new system last week. Irish officials have played down Barroso’s comments and continued to insist that the currency bloc’s permanent bailout fund, the European Stability Mechanism (ESM), can be used to deal with the State’s legacy debt. Last week, the Taoiseach pointed to the historic 29 June 2012 agreement, where leaders agreed to break the link between bank debt and sovereign debt, and insisted that this had acknowledged the unique circumstances of Ireland which bailed out its banks in 2008. “The decision is clear and stands. I always say that the European Council should follow through on the decisions it makes,” he said. Ireland has been pushing for the use of the ESM to retrospectively recapitalise its pillar banks AIB and Bank of Ireland which received billions of euro in State funding at the height of the financial crisis. But Kenny said that nothing can be done until banking union is in place saying this is “quite a complex issue”. Asked if a deadline of June 2014, that he had previously mentioned, would be met, Kenny admitted that it will not be. “So, I would like to think it could get to a point where our issue of what happened in Ireland’s case in terms of the possibility of recapitalisation could be on the table. Kenny said that despite Ireland’s improving economic position its national debt remains high at 122 per cent of gross domestic product and he hopes this will contribute towards recognition of the State’s circumstances. Email “Taoiseach admits his own deadline on bank debt deal will be missed ”. 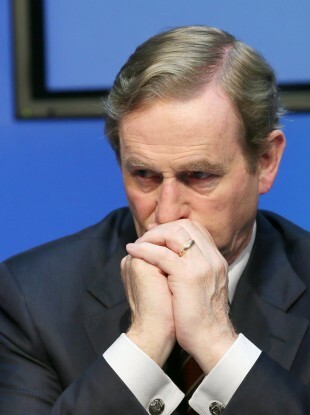 Feedback on “Taoiseach admits his own deadline on bank debt deal will be missed ”.